I believe in social justice and equality of opportunity for all. This is why, after working for more than five years as a lawyer in the private sector, I quit my law firm to become a full-time social entrepreneur. 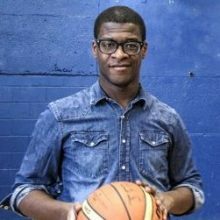 Pour 3 Points, the nonprofit organization that I cofounded, trains sports coaches into life coaches for youth in low-income schools of Montreal. We are currently training 30 coaches reaching more than 450 youth in the city. I enjoy supporting human development through coaching, as well as speaking and writing columns in newspaper Le Devoir about various matters ranging from philanthropy to racial equity. All of this with the hope of creating social change.